Search engines use spiders and bots to crawl your website for indexing and ranking. Your site can only be included on search engine results pages (SERPs) if it is in the search engine’s index. Otherwise, customers will have to type in your URL to get to your site. Websites rely on search engines to get noticed by Internet users. 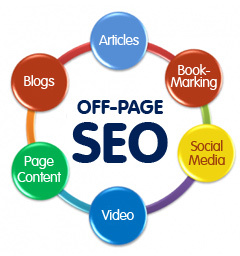 Understanding how search engines work can improve your search engine optimization (SEO) efforts. Knowing how sites are ranked on SERPs helps site owners improve their website designs and content. 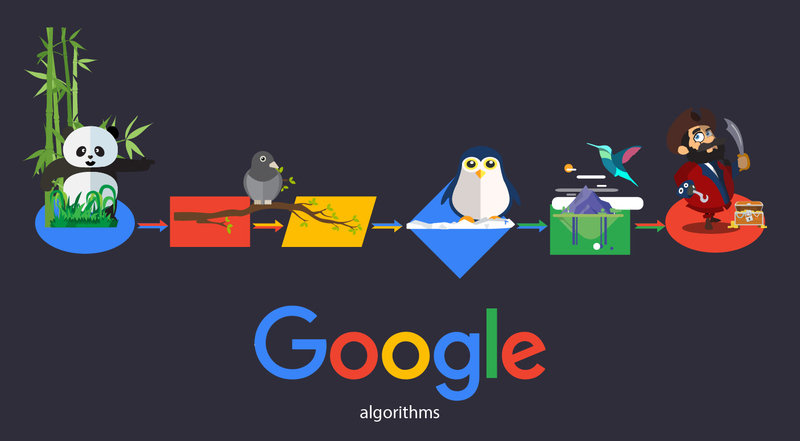 Search engines take into account hundreds of factors to rank sites for SERPs, and they employ spiders and bots to gather the information used to calculate those factors. Crawl rate is the frequency at which spiders and bots visit your site. If your site is frequently crawled, it is because search engines have determined it has valuable content for their customers. Your site’s crawl rate is important if you expect to attract organic search traffic. Increasing your crawl rate should be a priority. 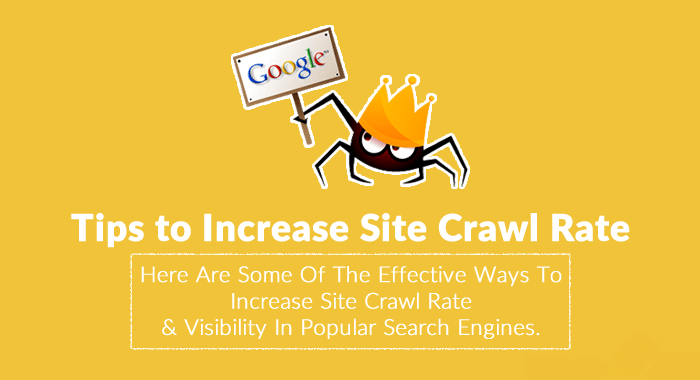 There are several ways you can increase your website’s crawl rate. Content is by far the most important criteria for search engines. Sites that update their content on a regular basis are more likely to get crawled more frequently. You can provide fresh content through a blog that is on your site. This is simpler than trying to add web pages or constantly changing your page content. Static sites are crawled less often than those that provide new content. Many sites provide daily content updates. Blogs are the easiest and most affordable way to produce new content on a regular basis. But you can also add new videos or audio streams to your site. It is recommended that you provide fresh content at least three times each week to improve your crawl rate. Copied content decreases crawl rates. Search engines can easily pick up on duplicate content. This can result in less of your site being crawled. It can also result in the search engine banning your site or lowering your ranking. You should provide fresh and relevant content. Content can be anything from blog postings to videos. There are many ways to optimize your content for search engines. Using those tactics can also improve your crawl rate. It is a good idea to verify you have no duplicate content on your site. Duplicate content can be between pages or between websites. There are free content duplication resources available online you can use to authenticate your site content. Title tags are especially important for SEO since they are one of the first things search engines crawl when they visit your site. Never use duplicate title tags. Each web page should have its own title tag. Crawlers may not index pages that have the same title tags. Assign a keyword per web page and use only that keyword in the title tag – stay away from keyword stuffing in title tags. All title tags need to be spider-friendly. If you update your keywords after a period of time, don’t forget to update your title tags as well. Backlinks directly affect your PageRank. The higher quality your links, the higher PageRank you can achieve. Search engines are able to distinguish quality links from bad links and will rank your site accordingly. Sites with high PageRank are seen as high-trust sites and get crawled more frequently. If you have excessive paid links or have links to poor quality sites, you need to remove those links. Avoid link schemes and other black hat link building practices. You should routinely check your backlinks. You never know when a site that links to your site is banned or penalized by a search engine. Good sitemaps can help crawlers. You can actually create an XML sitemap and submit it directly to search engines such as Google. This is a particularly useful tool new websites can use to get crawled faster. Crawlers use the sitemap to index your site faster which can also result in your site being indexed more often. Sitemaps are basically instructions for crawlers on what to index and what not to index. Since crawlers have limited time in which to index your site, a sitemap can ensure your entire site actually gets indexed. 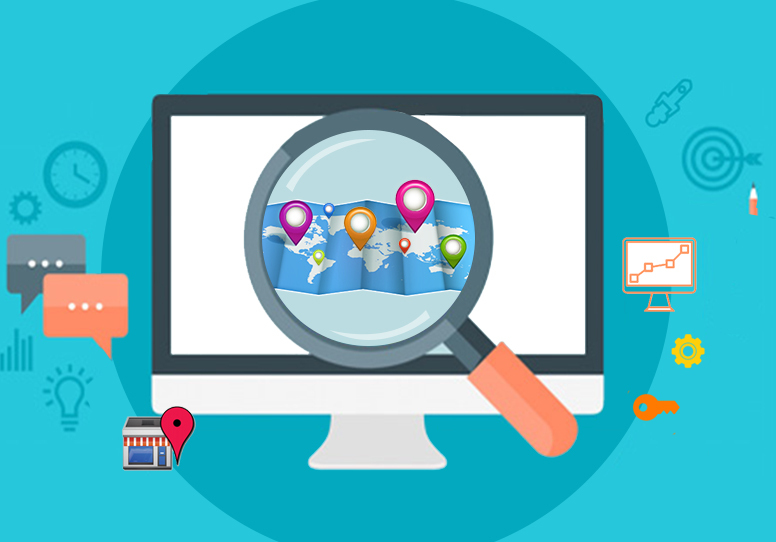 If you make significant changes to your website navigational structure, you can update your sitemap and submit it to search engines to inform them of the changes rather than wait for them to get around to indexing your site again. Having your site on a good server is critical for crawlers. If your site is down because of your server, crawlers are unable to index it. You will have to wait until they get back to you again. You can lose customers with a bad server. You should confirm your server’s uptime. Check around for other server options if you believe your server has insufficient uptime. Don’t overlook this aspect since it can profoundly impact your crawl rate. Server reliability is a must! Crawlers have limited time to index your site. This is something that too many site owners don’t realize. They think about load time from a visitor’s perspective but not from a crawler. Having too many images, videos or PDFs can slow down crawlers. They may not be able to finish crawling your site. It is better to have smaller pages with fewer images and graphics. This can ensure crawlers have sufficient time to index your entire site. Embedded video and audio can be particularly problematic for crawlers. They can really interfere with the loading of your web pages. Crawlers are unable to read images directly. If you use images, be sure to use alt tags to provide a description that search engines can index. Images are included in search results but only if they are properly optimized. The same holds true for videos. Anything that is not text should be “textualized” by using appropriate tags. It is well known that Google does not like flash because it can’t be indexed. If you are not sure how to optimize these elements for crawlers, it is better to minimize or eliminate use of them altogether. Plugins on your blog can provide valuable interlinks within your site. Crawlers use these links during the indexing process. Interlinks provide directions for crawlers on the content that needs to be indexed and how your content relates to each other. If you use WordPress for blogging or general website functions, you have access to plugins that can be used for SEO directly and to increase your crawl rate. If you have used any type of black hat SEO tactics, you should remove associated outcomes. This includes links to link farms and other bad neighborhoods. If you have resorted to keyword stuffing, you will need to fix your content. The use of black hat SEO methods translates to a low quality site for crawlers. Search engines will not be in a hurry to revisit your site. Only use white hat SEO if you want to increase your crawl rate. Setup accounts on the search engines and use tools available through the account dashboard to set crawl settings. Established sites have the option of increasing their crawl rates while newer sites must accept the initial default crawl rate. You can use the same tools to determine what your current crawl rate is and what is actually being crawled. Monitor your crawl rate regularly to see if you need to adjust settings. You can also learn which pages were not indexed because of server downtime or other reason. Always verify your entire site is indexed, especially after a major site update. A successful search engine marketing strategy must take into consideration a site’s crawl rate. Getting organic search traffic depends on your site being included high on SERPs – and this will only happen if you have a decent crawl rate. Understand that if you are penalized by a search engine for some reason, it is possible your site or specific web pages will be de-indexed. Crawlers will no longer visit your site or those particular pages. And, your site will not be included on SERPs. When you consider the purpose of crawlers is to index sites so that search engines can provide high quality search results to customers, you can use that to your advantage by creating a site that meets those guidelines. High quality sites get crawled more frequently than low quality ones. Make your site a high quality site to increase your crawl rate. It is possible to increase your crawl rate but don’t expect it to happen overnight. A higher crawl rate will improve your ROI so it is worth the effort to follow the above recommendations. As your crawl rate improves, so too will the traffic flow to your site. Apply the recommendations to your entire site and you will find more of your individual web pages get included on SERPs.